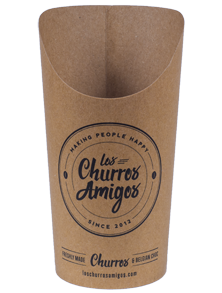 Chip Scoop Cups are suitable for Chips, Churros, as well as other hot foods. They are fully branded with your own design to effectively build and promote your brand in the marketplace, furthermore increase your sales. 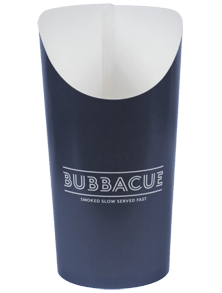 Provides an excellent space for promoting your brand due to the large, smooth print area. Available in a variety of sizes, and stack tightly for minimal storage space. Best suited for Chips, Churros, Potato Wedges, Nuggets, Onion Rings.